JSU senior business administration major Kyren Garel lands six-figure job at Microsoft. 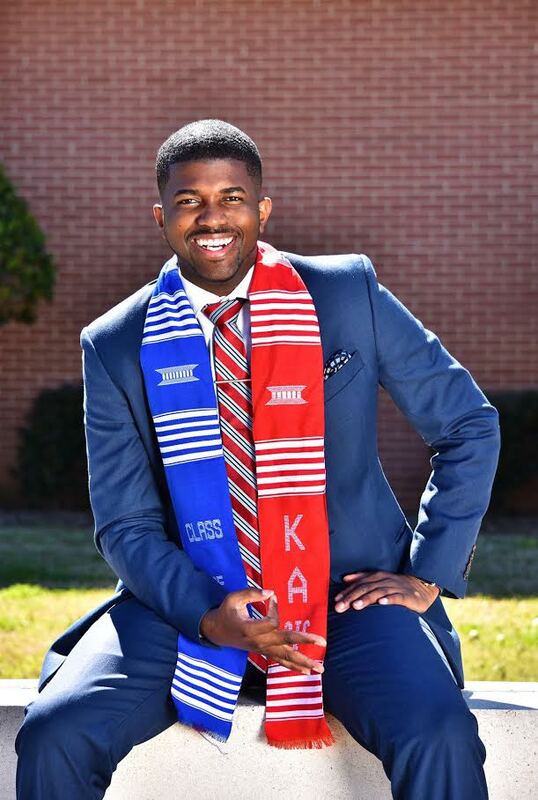 The 22-year-old Michigan native is heavily involved with the Jackson State campus ministry, the president of Kappa Alpha Psi Fraternity, Inc., and has held positions in Jackson State’s Student Government Association (SGA) since his freshman year. As a customer success manager at Microsoft, Garel will help manage consumer relationships with branches that fall under the Department of Justice. Garel attributes his employment at the company to the JSU College of Business, Student Government Association and the Thurgood Marshall College (TMC) Leadership Institute. The TMC Leadership Institute is a power-packed four-day conference that prepares top students from 47 publicly supported Historically Black Colleges and Universities (HBCUs) to compete in today’s very competitive global workforce. The conference culminates with a recruitment fair where Fortune 500 companies, government agencies and graduate program representatives offer jobs, internships and continuing education opportunities. “Each year I participated in the TMC Leadership Institute, I walked away with multiple opportunities where I had to choose what I wanted to do. I landed an internship with Eli Lilly and Company my sophomore year and I currently intern with the Federal Bureau of Investigation (FBI) as an intelligence analyst,” said Garel. While attending this year’s conference, Garel had no intent of talking with representatives from the tech company Microsoft because he assumed they were looking for only Science, Technology, Engineering and Mathematics (STEM) majors. “I remember crying right there on the phone because one of my biggest dreams was to make six figures. So in my mind I always conventionalized it to be in my 30s or 40s.” — Kyren Garel, senior business administration majorAs a natural social butterfly, Garel says he set a goal to talk with each company and agency at the conference. After initiating dialogue with employees from Microsoft, he says one thing led to the next and it turned out to be an extraordinary conversation that would later lead to a mind-blowing opportunity. “One of the people that I spoke with at the company texted me later that day explaining how impressive our discussion had been and requested that I answer five questions so that he could put a portfolio together to provide to his manager. About two weeks later, I got a call from Microsoft saying they wanted to fly me to D.C. the next day for a series of interviews,” said Garel. Even though it was his last homecoming as a student at Jackson State, he says the opportunity was too massive to turn down. Garel took the offer and went to D.C., competing against 41 other applicants from various backgrounds. After a few days of continuous interviews, Garel and three other applicants were asked to stay behind for a fourth and final interview. He watched as each candidate went in the conference room for their final interview and eagerly awaited his turn. After two hours, a Microsoft staff member came out and gave him the OK to leave. The very next Tuesday, a woman from the Fortune 500 company called and presented Garel with a verbal offer for the position of customer success manager. As a young alumnus, Garel intends to immediately establish scholarships benefiting students in the area of business and also for young male students who are members of his fraternity, Kappa Alpha Psi. Additionally, he wants to come back to campus and speak to current students regarding his journey to Microsoft. “I want the students here to know that at some point I was just like you so this is a journey that you can do as well—except better,” Garel said.